The New Zealand Connection: An Inseparable Bond With the Land — . New Zealanders have a deep affection for and appreciation of their land. No wonder. It’s a special place that is as diverse as it is remote. This connection to the environment and love for the outdoors is an inextricable part of their culture and identity—whether one is Māori (native New Zealander) or Pākehā (of European descent). An example of their commitment to the land came in 2015 when a family who owned 800 meters of Awaroa Beach wanted to sell. This wasn’t just any stretch of sand. It was surrounded by Abel Tasman National Park on the South Island’s northern tip. Two men from Christchurch believed that rather than fill this pristine area with high-priced bachs (beach cottages) or high-rise condos, everyone might want to own a piece of it. They successfully rallied 40,000 of their closest mates to pitch in $2 million to help buy this property. We appreciated that they shared this spot with outsiders, too. Perfect for a quiet day, strolling barefoot on the shore, hunting for shells. 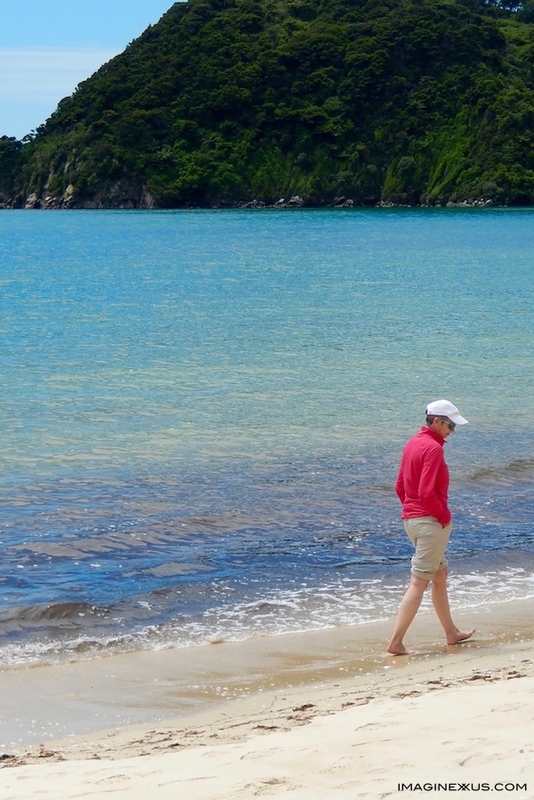 If you enjoyed this story in our series, you may also enjoy another one about Abel Tasman National Park, as well as any of our travel books.